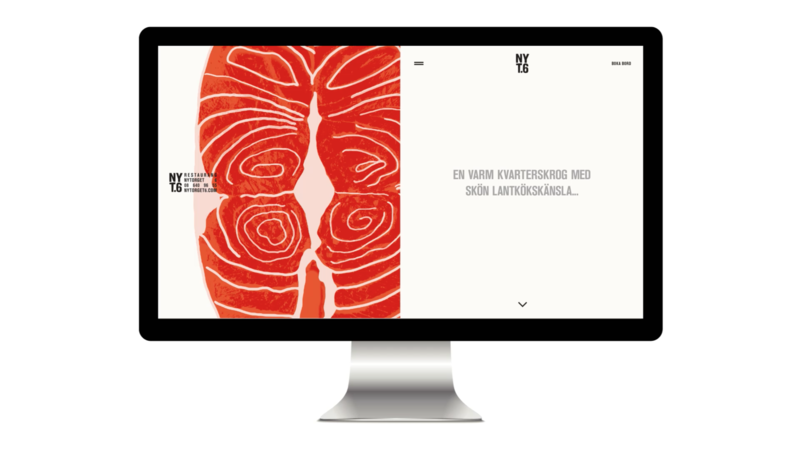 A new visual identity for the restaurant Nytorget 6. Nytorget 6 is a local establishment known for combining traditional dishes with modern home cooked cuisine. It’s a place where you eat and drink well – from morning to night. We wanted the simplicity of the food, culinary ambition and atmosphere to be the cornerstones of the identity. Therefore, we combined a roughly cut logotype with clean and simple typography layout and abstract illustrations of fruit, meat and vegetables cut in half.